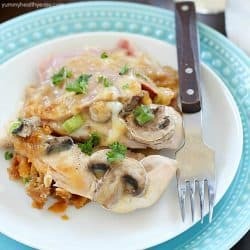 Jul 28 By Jen Leave a Comment This post may contain affiliate links. On of my favorite foods off the grill ever are skewers aka kabobs. If I’m ever out of dinner ideas, I immediately think of skewers. I think it’s because I love the way the grilled veggies taste. But why do veggies get to have all the fun?! Why not throw some fruit on skewers and grill ’em up? 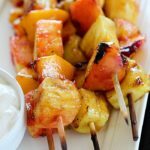 Check out these fruit skewers that I coated with a yummy cinnamon glaze and then grilled and served with an awesome and easy yogurt dip! 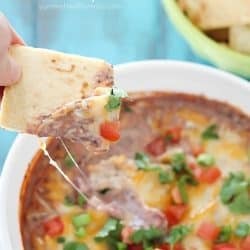 (OMG you guys, this yogurt dip is incredible.) 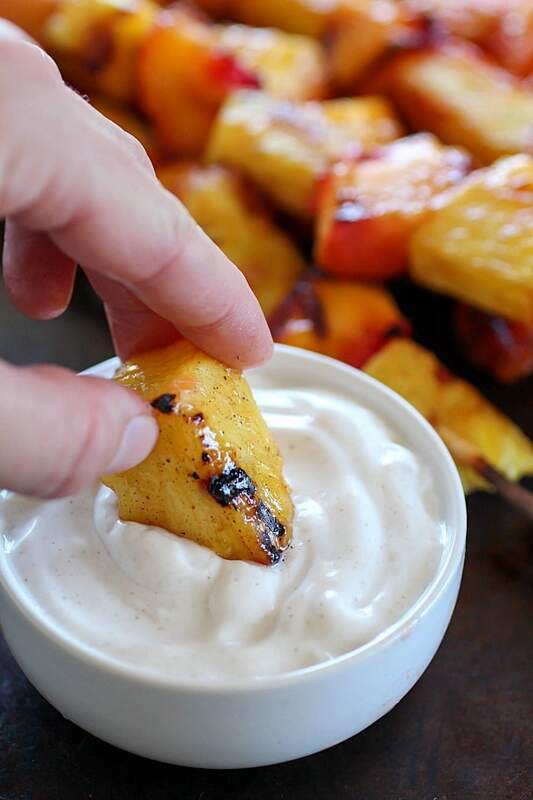 The combo of the tender and sweet fruit dripping with glaze, dipped in a creamy and cinnamony yogurt dip is just – WOW. 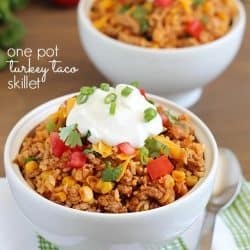 I can’t tell you how good! I love fruit cooked this way. It really brings out the juiciness and sweetness of it. If you’ve never grilled fruit before then you are missing out! 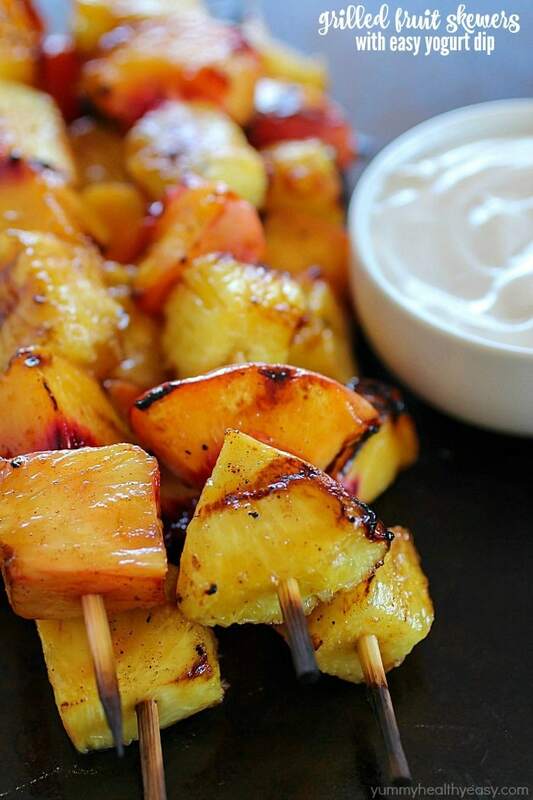 You need to make some fruit skewers the next time you’re grilling out. 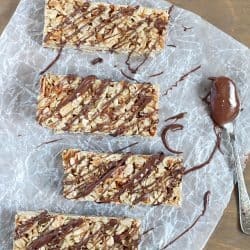 It is such a great side dish or healthy dessert. I especially love that I save calories by using Truvía® products. Have you tried the new Truvía® Nectar? In a nutshell, it’s a blend of stevia leaf extract and honey and has 50% fewer calories per serving than sugar! You can add Truvía® Nectar anywhere you would use agave, sugar or honey. Perfect for the cinnamon glaze on these fruit skewers! Because Truvía® Nectar is twice as sweet as honey, you only need to use half as much. 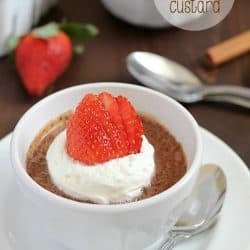 AND it has only 10 calories per 1/2 teaspoon (which is as sweet as 1 tsp. of honey). Pretty great, huh? It’s pretty quickly becoming one of my favorite sweeteners ever. These grilled fruit skewers will be a perfect addition to your meal and also make a great healthy dessert! 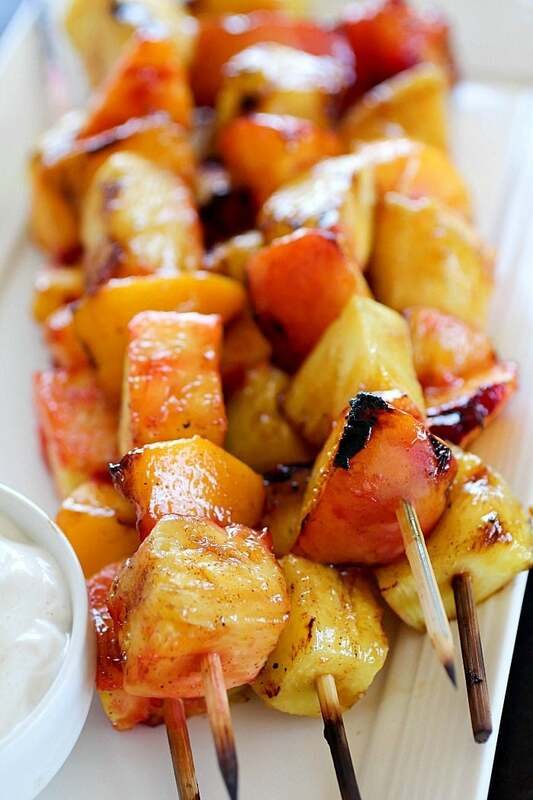 Fruit Skewers are grilled with a sweet cinnamon glaze and dipped in a delicious easy yogurt dip! 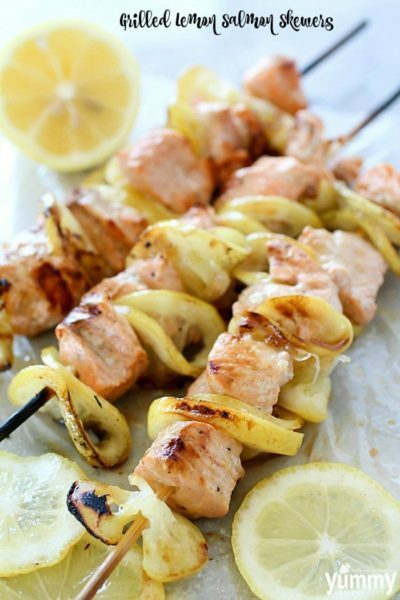 You will go crazy for these grilled fruit skewers! Soak skewers in water and preheat grill to medium-high. 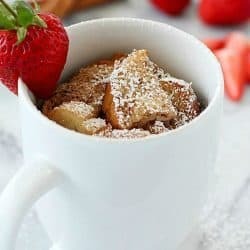 In a small bowl, mix together Truvia Nectar and cinnamon. Thread fruit onto soaked skewers and brush the fruit with cinnamon glaze. Place on preheated grill and close lid. Meanwhile, mix together ingredients for the yogurt dip. Turn skewers after about 5 minutes and let cook on the other side for a few extra minutes until softened. 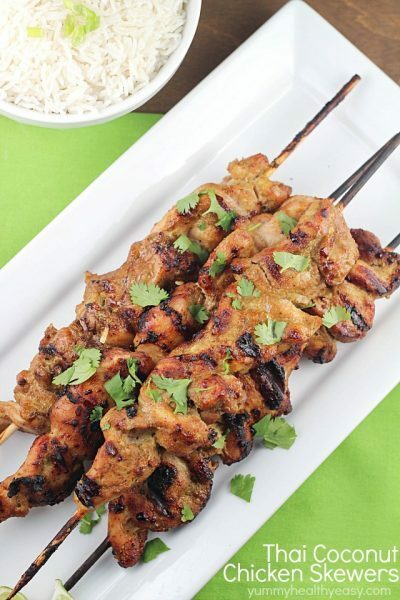 Take skewers off grill and let cool for a few minutes and then serve immediately with yogurt dip. Enjoy!